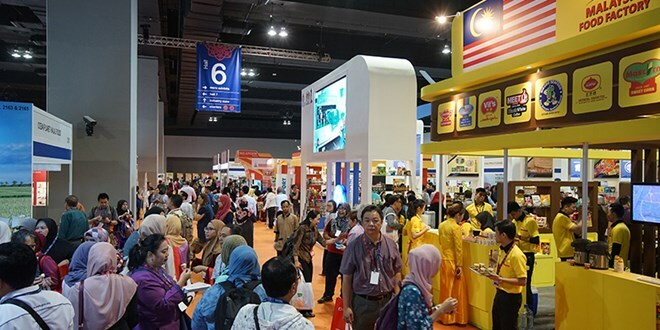 Kuala Lumpur (VNA) – Dong Duong Vina Co., Ltd. is the sole representative of Vietnam at the 16th Malaysia International Halal Showcase (MIHAS), which opened in Kuala Lumpur on April 3. This year’s four-day event attracts the participation of more than 1,000 exhibitors from 40 countries and territories around the world, offering a good chance for enterprises operating in the Halal industry to meet and seek cooperation opportunities. According to the Global Islamic Economy Report 2018/2019, Islamists over the world spent a total of 2.1 trillion USD on Halal food, beverage and other products in 2017. The figure is expected to increase to around 3 trillion USD by 2023. Pham Quoc Anh, Vietnamese Trade Counsellor in Malaysia, said that months ago, the Vietnam Trade Office had intensified disseminations about the showcase to Vietnamese businesses and invited them to participate in the event. However, Vietnamese enterprises are showing little interest in this exhibition as only the Dong Duong Vina Co., Ltd. is taking part in the event. Anh advised businesses to actively participate in activities at MIHAS, as Malaysia is a big Halal market and has a Halal certification office in Vietnam.